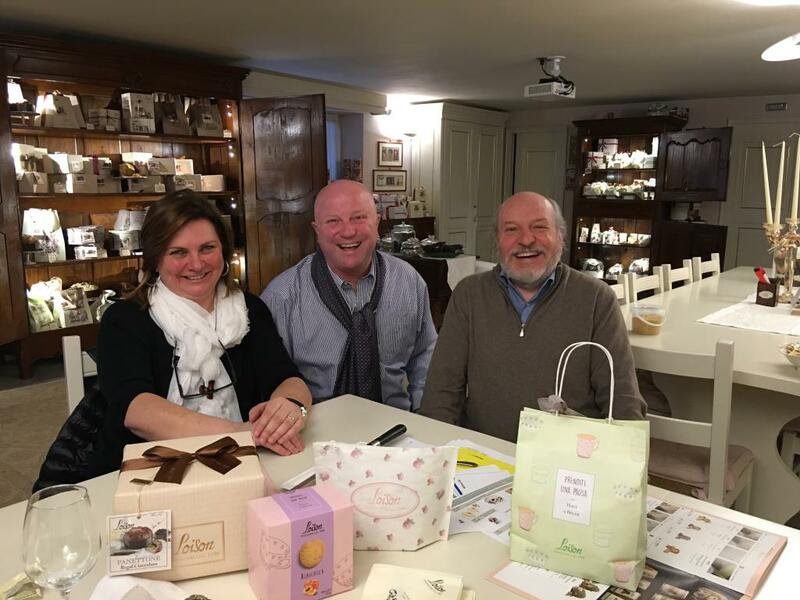 On 24th March the Quintarelli family has been visiting Loison. Specialists in Grappa and wine, their company “Boutique della Grappa” in Bogotà (Colombia) offers a wide range of thoroughly selected Italian products and accessories. They had spent some pleasant hours with the Mr. Loison talking about business strategy, marketing and communications. All accompanied by an unexpected tasting of Macarons with Panettone cream and Easter italia Cake “Colomba” . Visit their Facebook profile to learn more.